Of course we had to make the Bobcat... Special. Bobcat Special embodies all the same superb playability and performance attributes of our regular Bobcat: fast playability and powerful musical midrange muscle done in a Special way. Smooth and fast. Buttery playability, just effortless to play and bend, for as far as you would like to push it. Yes, with one strum you will know the reason for Anderson select mahogany as the Special vibrantly demonstrates its resonant midrange mastery. When you hang out with Raven you pick up a few things and as such Bobcat Special’s uniquely styled lower horn takes its cue from our Raven Superbird. Rounded, shortened and deeper cut, it splays slightly outward to noticeably grant easier access to the highest regions of the fretboard and balances the Special’s center of gravity nicely when sitting to play. Your choice of twin PQ pickups, with or without pickguard styling or dual humbucker pickups without a pickguard. 3–Way tradition and your choice of a two or three knob control layout brings 8 easy sounds under your command. Lightweight wrap-around style bridge is standard, wonderful to play and rest your hand, and lends to Bobcat Special’s big tone. Giant all mahogany tone and Anderson resonance flow in concordance with unique style to create Bobcat Special. 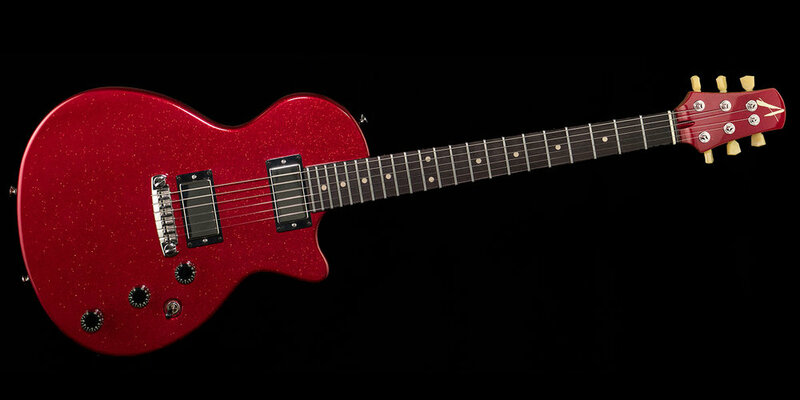 A very special guitar, from a very special company, done in a very special way. Now if that isn’t special, we don’t know what is!